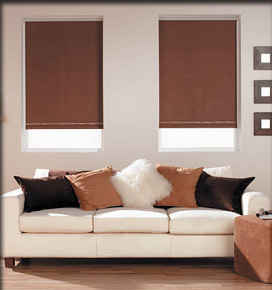 A vibrant range of colourful Blinds Roller are available through our Internet shops at special rates. If you are looking for sheer beauty and style, then you have come to the right place. Here at Nets2Go.co.uk we have built up a wonderful relationship with our customers and only provide good quality Blinds Roller that are distinguished by colour and detail. We have been able to surpass our customer's expectations by offering a well designed and sturdy product range of blinds roller, that are of a flawless quality and delivered fast to your door. We manufacture and supply a superb range of exquisite products to hang at your windows, they reflect the light in many different ways, bring a fresh perspective to your home and convey the all important privacy feeling we all expect. 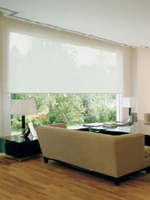 Made to measure roller blinds can be made to your exact requirements and size specifications, for that perfect fit. For a subtle elegance, or romantic and delicate mood, we provide 20 stunning colours in line with the current trends, from China White, Ivory, Slate, Sage to Sky Blue, Canary, Marachino, Black and many more. The sheer workmanship that is visible in their style makes our range not only unique but highly popular. Roller blinds are simply a practical and stylish way of adding interest to the windows and they will certainly complement and enhance the beauty of your home. Our goal is to bring you a gorgeous array of plain hues to chose from and create a durable and sturdy blind for a dramatic look that will last. They are simple to operate and will fit snugly and securely. They have become highly preferred by our customers for their smart and trendy design, cool and comfortable finish that permits just the right amount of light in, or indeed keeping it at a distance, with the choice of a soft amber glow or a brighter white light, you can create many interesting lightening effects. Creating special ambiance and comfort in the home can be achieved with little effort really. If you want to be extravagantly colourful, our range of blinds possesses a brilliant aesthetic sense. Perhaps your taste is the earthy, moody hues of greens and browns, or for a more formal or classical look, we have paler tones that would not only suit, but still look sophisticated and impressive. The beauty of one tone blinds is that they can provide a dramatic contrast, your personal tastes can then come together to create and fill the room with beautiful gracious furnishings, adding colours and patterned cushions in smooth, lustrous fabrics, thus inspiring your family and friends of the fantastic style you have created, making your room even more inviting. Today, window treatment and the use of Blinds Roller can be harmoniously blended with any home décor for successful window decorating.